Moving into a new home in the same neighborhood or across the country is a big deal. 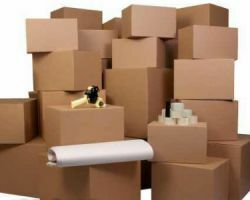 All Star Movers is one of the most professional companies offering house, apartment, and office moving as well as keeping your things in storage. 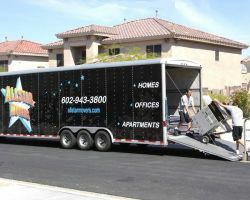 This company has been one of the go-to moving companies in Mesa, AZ since 2002. In the time that this team has been providing top quality moving, they have worked to stay organized and always keep the possessions of their clients safe. 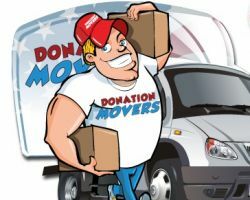 Donation Movers, LLC is a local moving company that has been working in the business for over 20 years. In this time, the licensed and insured company has helped countless families move into their forever homes. In addition to having years of experience, this team has also been able to offer their work at relatively cheap prices compared to the competition. Potential customers can quickly get a quote for their specific moving needs and find out about the affordable rates for themselves. Commercial and residential moves should be left up to the team at Move Smart Moving. These Mesa movers will help you with everything from packing your things in boxes, loading them onto the truck, driving them to their new home, unloading the truck and even unpacking everything. Working with a moving company that will assist you in such a comprehensive way will take the stress out of moving and make for much easier work. You will love working with the fully trained team at prices that are up front. 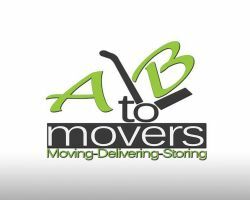 A to B Movers is one of the most trusted companies in Arizona. This team is able to help homeowners with more than just carrying the heavy things but with every aspect of the move from start to finish. As house movers this team is incredibly familiar with what it takes to make relocation go smoothly. They will shrink wrap larger items to protect them from damage. This is great when you have precious furniture like a piano to move. They will also take on the responsibility of keeping track of smaller possessions too. If you want nationwide moving services or even a company to move you locally then you need to work with the best team possible. This generally means working with A to Z Valleywide Movers. You can easily trust the moving team at this company once you have read the reviews of their work as well as examine the services that they offer. The experts can be your movers and packers, organizers and safe keepers. You will be completely stress=free knowing that you belongings are in very capable hands.